This one’s easy. 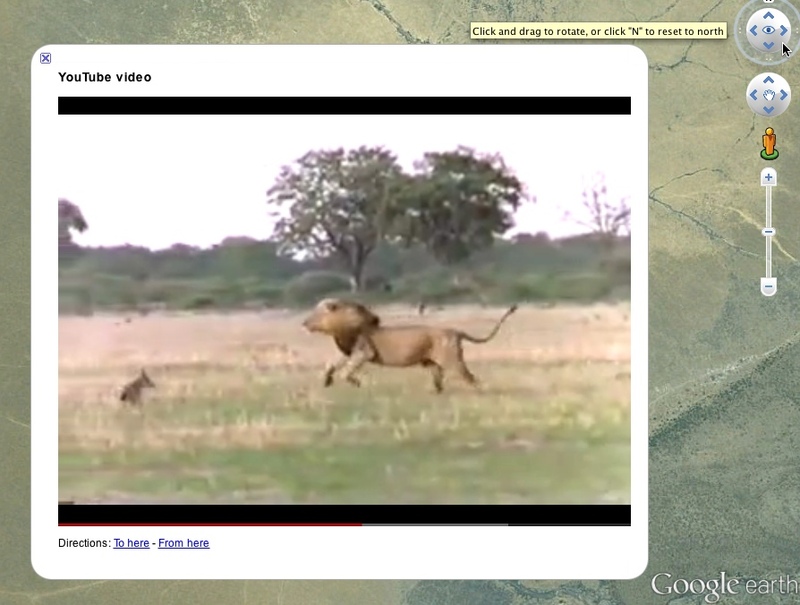 You can embed YouTube videos into Google Earth placemarks. All you need to do is find the video you want, and select the Share button beneath the video. You’ll be presented with an Embed button and some more options. Choose a size option and then copy the embed code from the window above. Paste the embed code into a placemark’s description box and you’re all set. This technique may work for other video sources as well. Just look for an embed code option.